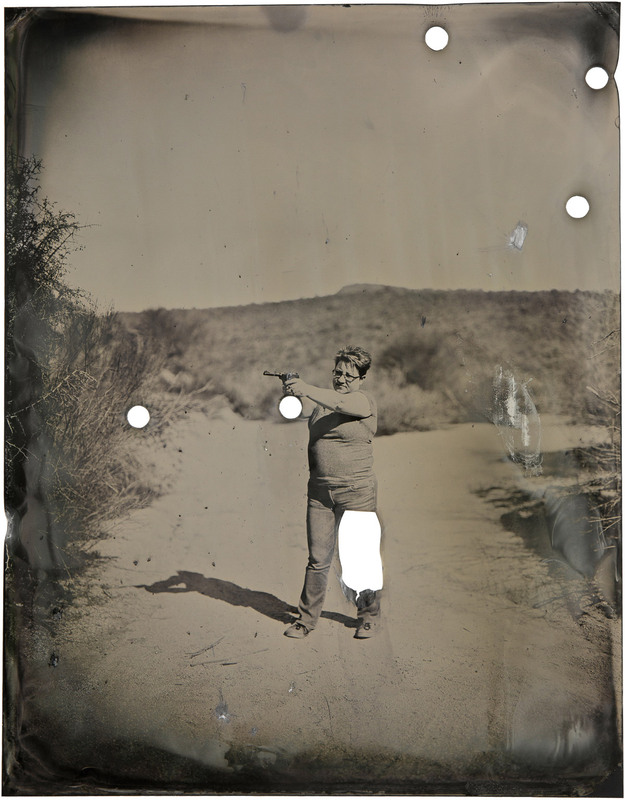 For her series “Shot”, photographer Kari Wehrs sets up her darkroom tent and tintype gear at target shooting locations in the Arizona desert. 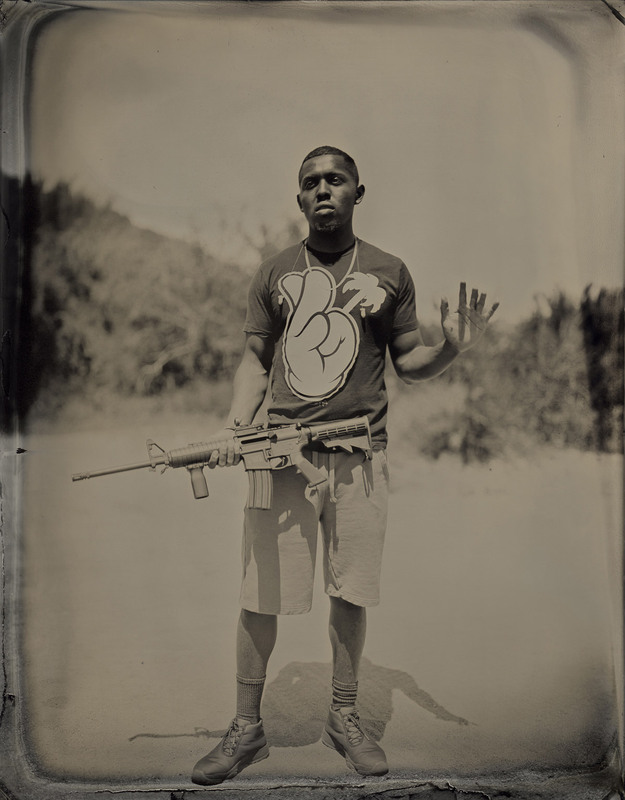 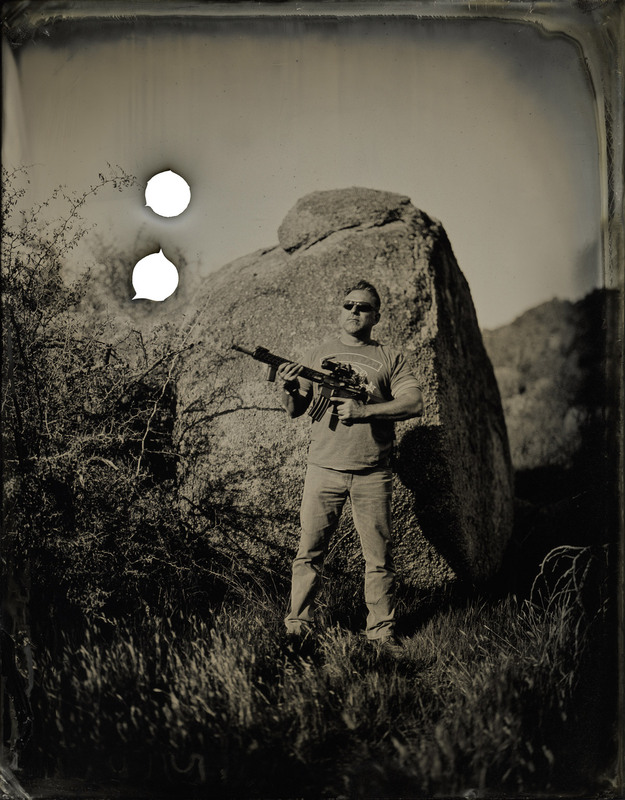 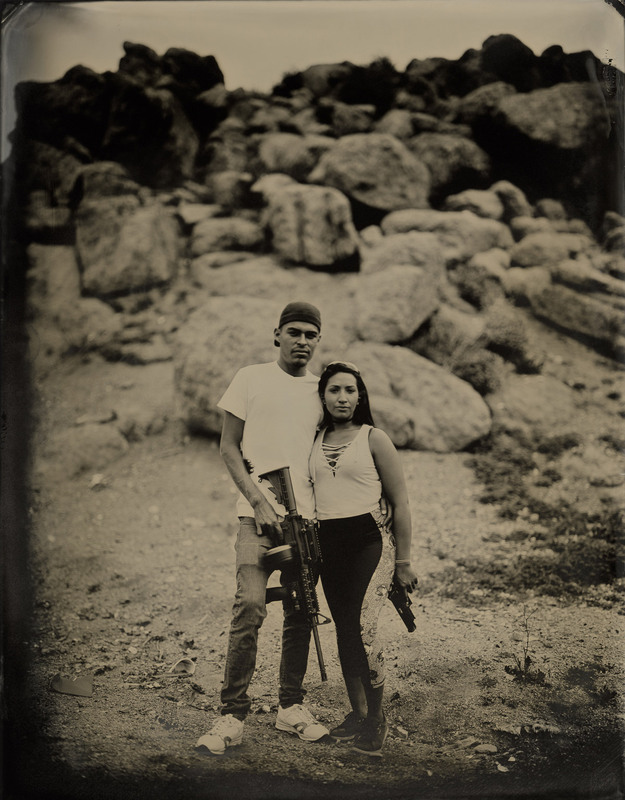 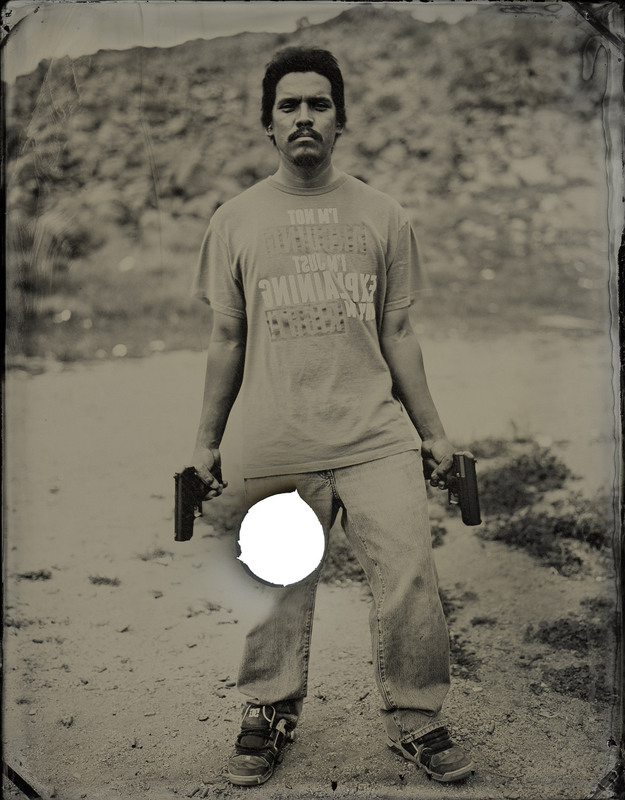 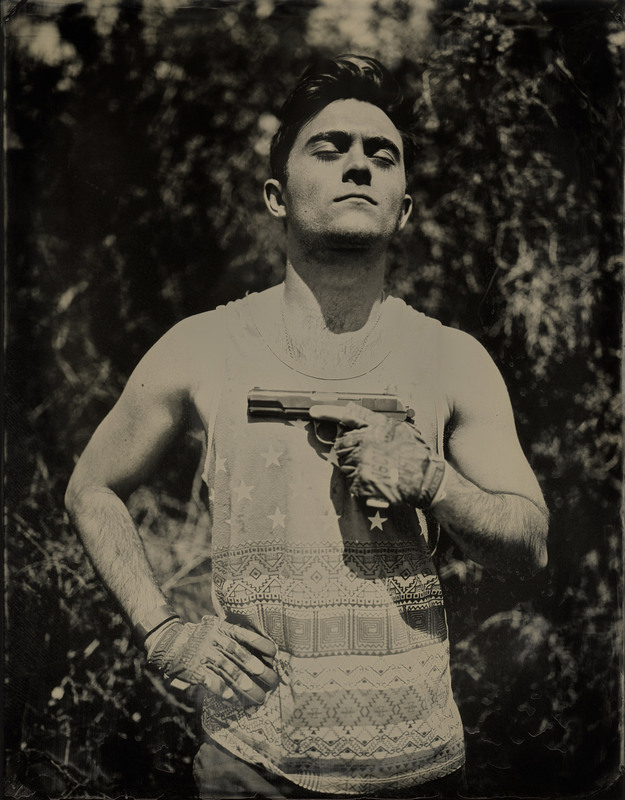 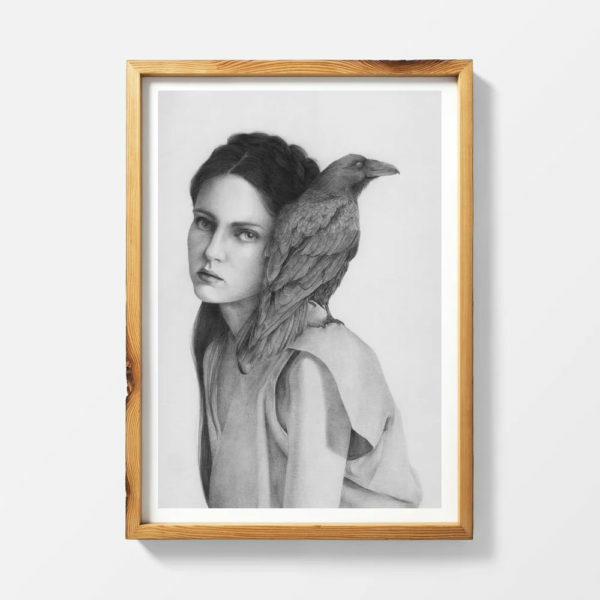 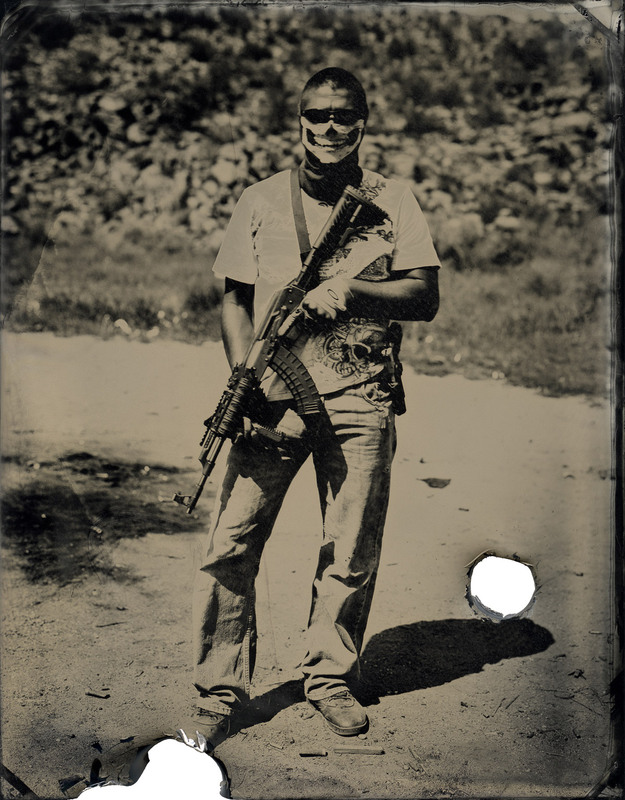 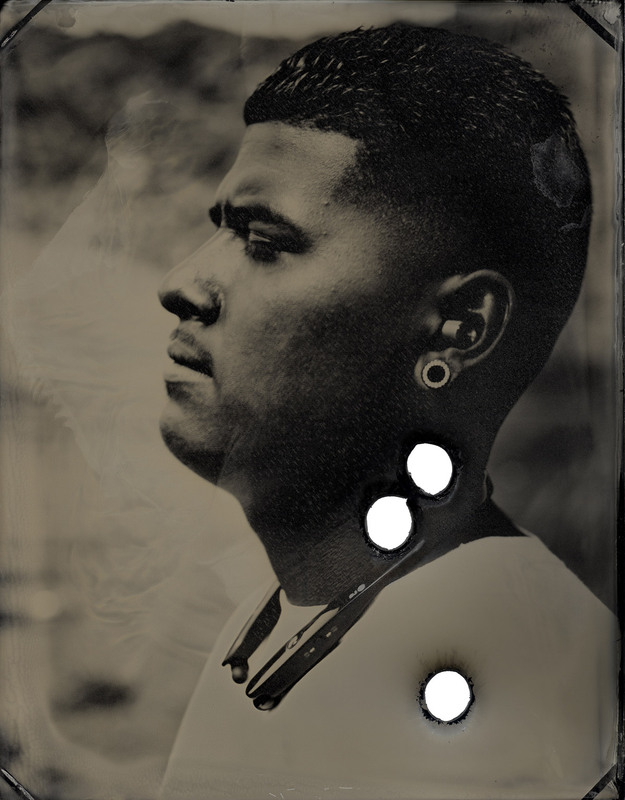 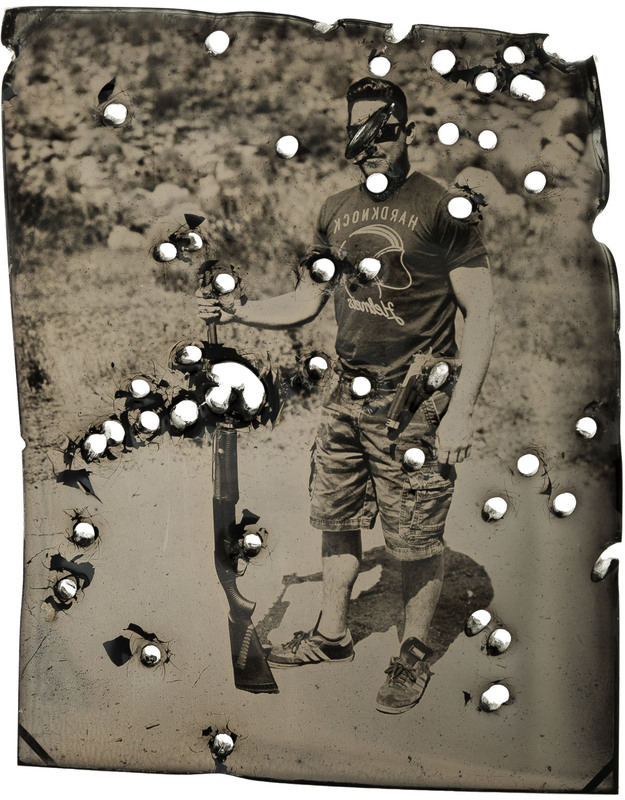 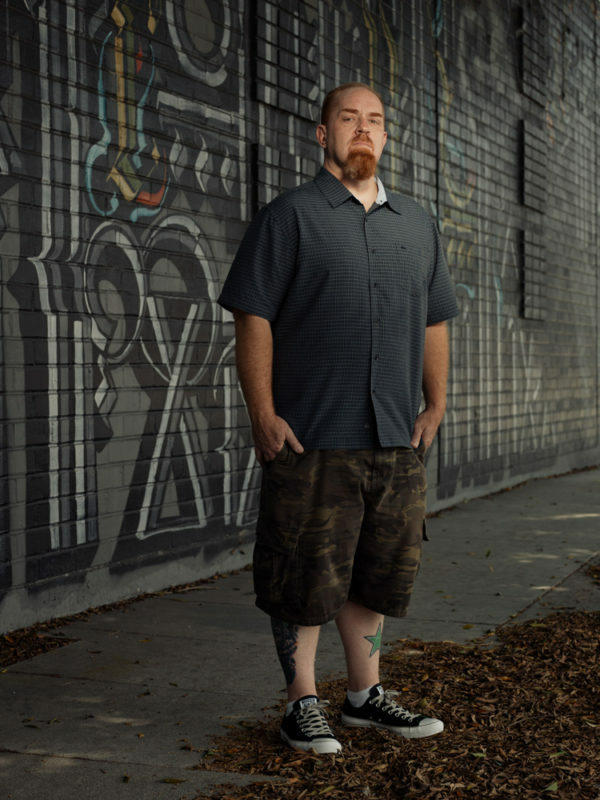 She creates tintype portraits of gun enthusiasts and then the subjects use the objects as shooting targets. 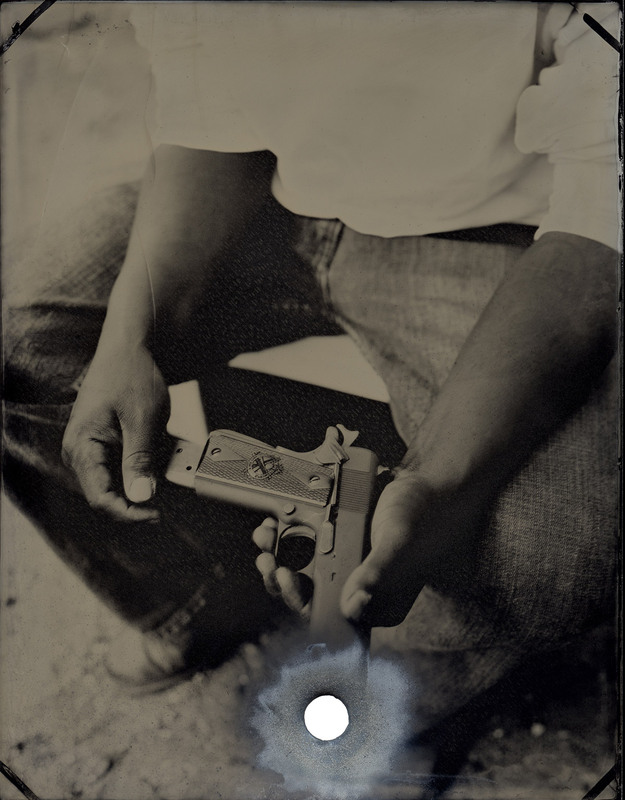 Wehrs’ work examines the current divide in America when it comes to gun culture using a medium that was the primary form of photography during the American Civil war.